RLJ wanted to perform accurate analysis, trending, and forecasting globally, across all properties and all retailers. Furthermore on the finance side, at the end of each month RLJ had to manually manipulate the data to use for their accounting functions including recognizing revenue into their ERP system. 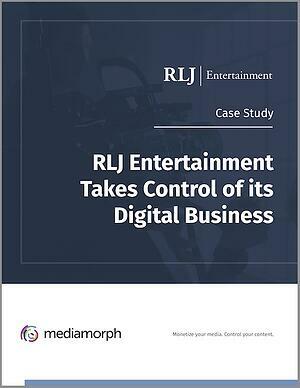 In this case study we will take a closer look at RLJ Entertainment's pain points, the approach Mediamorph took to analyzing the problem and what the outcome has been. Ability to upload data directly into ERP systems, with full trail of documents for audit purposes. We're committed to your privacy. Mediamorph uses the information you provide to us to contact you about our relevant content, products, and services. You may unsubscribe from these communications at any time.